The coming holiday season is a time of mixed feelings for many. How to enjoy the festivities of the season without the all-too-common weight gain that follows? As with so many aspects of health, the answer boils down to: Have a plan! First off, let’s talk activity. With cooler weather and so much to do, it’s easy to lose those healthy habits. Look for ways to make activity fun – is there a family walk to look at decorations in your future? Keep in mind, too, that short bursts of activity can add up – 3 sessions of 10 minutes can be just as helpful as 30 minutes straight if you’re getting your heartrate up and working those muscles. Next, how do we handle those hallmark meals? Especially Thanksgiving dinner, where overindulging is almost expected. 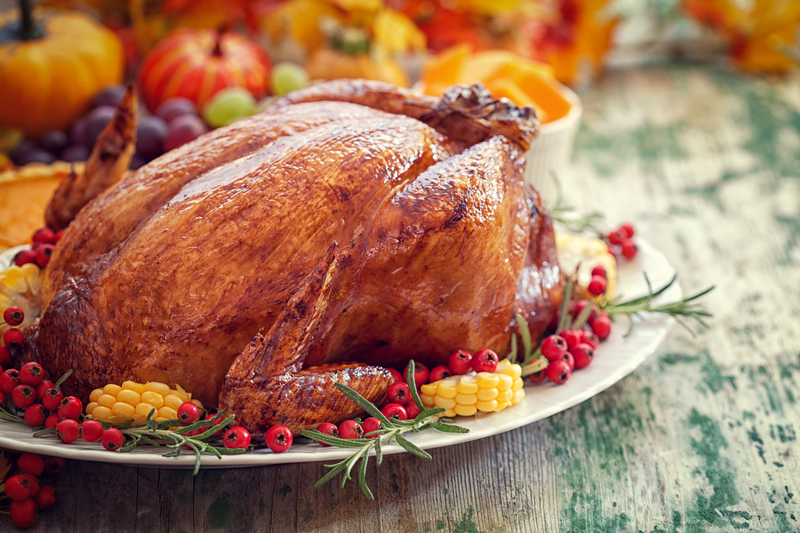 Don’t fast the whole day of a big holiday bash – you’re not likely to make healthy choices when starving! Eat slowly – give yourself time to pay attention to those signals from your body so that you know when you’re full. Finally, don’t stuff yourself – stop when no longer hungry. Realistically, I find the biggest danger during this season of excess isn’t one or two big sit down meals, but the dozens of opportunities to graze on sweets, nuts, and other treats that seem to spring out of the walls around us. Not to mention, in many cases, the free flowing alcohol at many gatherings. Two meals won’t make us gain nearly as much weight as 6 weeks of grazing on empty calories! The key here is, once again, planning. If Aunt May’s famous fudge is a stable of your holiday, fine – have a piece or two. Focus when you’re eating it, really enjoy it. And stop before you eat the whole box. More importantly, practice saying no thanks to filler treats – things that might make their way into your mouth simply because they’re there. And if your friend’s party is going to have a buffet of high-fat treats, maybe have a healthy dinner beforehand so you aren’t hungry and can more easily stay away. The key to success at any point of the year is to be realistic about the temptations you’ll face and then coming up with a plan to do better. The focus on enjoying family and friends doesn’t mean we have to eat everything we are offered – and hopefully, with healthy choices, we will find we have the energy and good health to continue enjoying family and friends for many years to come.